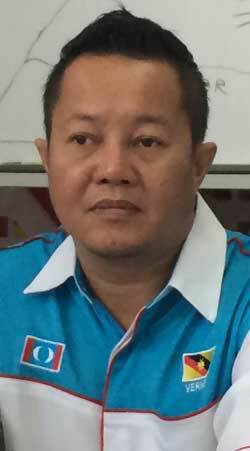 KUCHING: Parti Keadilan Rakyat (PKR) Betong branch chief Vernon Aji Kedit has refuted the party’s Julau branch chief Larry Sng’s claim that the appointment of PKR state chief in Sarawak is the prerogative of party president Datuk Seri Anwar Ibrahim. Vernon said perhaps Sng did not know that Sarawak has autonomy. “We don’t blame him for his ignorance. After all, he just joined us. He’s not expected to know everything at this stage. “Which begs the question: Why is he making statements on party procedures without checking with the state secretary or executive secretary?” he queried today. Vernon was responding to a statement by Sng that the appointment of PKR state chief for the respective states including Sarawak is the prerogative of party president. According to Vernon, PKR Sarawak fought hard to acquire autonomy for themselves. “It was granted after the Kuching Declaration of 2012 and in 2014, all 29 Ketua Cabangs (divisional chiefs) voted in a secret ballot for the chairman of their choice. In noting that this autonomy is only granted to Sabah and Sarawak, Vernon explained that other states state leadership council (MPN) chairpersons are appointed by the president, as stipulated in the party constitution. “I don’t think Larry wants to erode or roll back our hard gained autonomy. No true blue Sarawakian would, in his wildest dream, take such a suicidal move.